Tires must be installed by Diehl. Coupon must be presented when order is being written. Not valid with any other offer. Since fewer people buy hard copies of newspapers nowadays, coupons may seem like a thing of the past. That’s why we here at our Butler, PA Volkswagen dealership offer these service specials and coupons right here online, so you can save more the next time you schedule a service appointment with us. See what we have to offer, then make your way on over to 258 Pittsburgh Road, Butler, PA to see why our service center is the best place to take care of your Volkswagen. Routine service is simply a part of owning a car, but that’s why we want to make it as painless financially as possible. That’s where these specials and coupons come into play. Find deals on specific service work like oil changes, tire rotations, alignments, battery tests and more. We also regularly offer savings on repair work, where the more expensive – and usually most important – jobs will lead to better deals. Take a look to see what we have, and match these coupons up with anything you need for your car. Service appointments are a necessary part of owning a car, and that’s why we not only offer you these kinds of specials and coupons, but we also make sure you can get your vehicle taken care of in a manner that works for your schedule. We also provide a comfortable waiting area with all kinds of amenities for you to enjoy if you need to stick around while we get the work done, as well as alternative modes of getting around when your car’s in the shop. 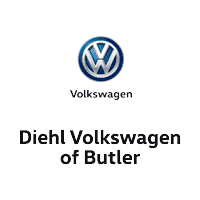 Discover savings and convenience by making an appointment here at our Diehl Volkswagen of Butler service center, and you’ll quickly see what makes this the place to come to in Butler and the greater Pittsburgh area.